While olive oil is used for moisturizing dry skin it is not the remedy for oily skin. This guide contains many helpful suggested remedies for oily skin that will help reduce the oiliness and beautify your skin, as well. I have oily skin. I tried using olive oil, but I get pimples. What do you suggest I use? Wash your skin in hot water. Cold water doesn't dissolve oil very well. Use good warm water! Rub a wedge of lemon across the oily parts of your face as a natural astringent. Don't buy soaps especially made for oily skin. Popular Ivory soap works very well - the trick is to lather well and wash often. Also, consider a more-drying regular soap, such as Safeguard or Dial. Good luck. Many years ago, when I was much younger-in my 30's, I had very oily skin with adult onset acne. I used basis soap-that's the name of the soap with warm water. Rinse very well Using Witch Hazel as an astringent. Washing your skin with baking soda would neutralize the ph and possibly cut down on the oil. Follow with witch hazel. Keep and eye on hair products, if they are conditioners for dry hair don't use them. Try this link for more information this site recommends apple cider vinegar. This is not a joke but lettuce is the answer to oily skin! Buy an Iceberg lettuce and rub over your face, especially the parts nearest the stem. My skin was oily, and a friend told me to make black tea, and cool it down, and put that on my face for 15 to 20 minutes or so. It works. Also, I would crack open an egg, and mix the uncooked eggwhite with a little lemon juice and apply that to my face for several minutes. This always worked,too. Sometimes I would add a little lemon juice to the black tea and apply it to my face. I hope one or more of these remedies works for you! Can I apply olive oil on my skin? I have oily skin and I get pimples. Is it better for my skin?. 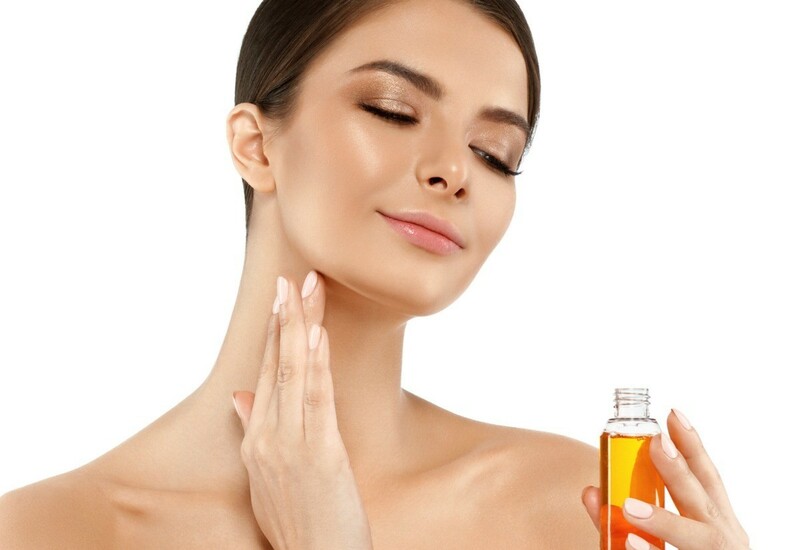 For oily skin with acne, it is good to use a mixture of honey and apple cider vinegar. This mixture can have a powerful anti-microbial effect on blemishes. Honey has anti-bacterial properties, while the vinegar acts as a toning agent on your skin. I love coconut oil (from health food store) especially for under eyes. You don't really want heavy oils on the skin because it aids gravity. Olive oil is fine, as long as its natural. You may want to experiment with other oils like rosehip seed, apricot kernel, borage seed, or even almond oil. Your skin will love one the most.